According to the recent statement of the CEO of Match, Tinder’s parent company, Greg Blatt, Tinder is soon getting some new features that will make the line between digital dating through Tinder and actual physical dating disappear a little more as well as making the app itself a little less boring. Match, the owner company of Tinder and many other online dating platforms like PlentyofFish and OkCupid, has recently published its earnings of the third quarter of the year, showing a growth in its $343 million revenue by 19% compared to the same quarter of last year (YoY). Tinder has also had an addition of 476,000 users to its paid subscriptions in this quarter. 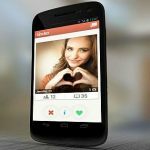 Blatt, Match’s CEO, pointed out that the increasing numbers is due to the success of “Tinder Gold” which is a paid, member-only option of the dating app that offers Tinder’s most exclusive features like: Rewind which lets you undo swipes that you may have done by mistake, Passport, Unlimited Likes, more profile controls, one Boost for your profile’s visibility per month, and five Super likes, which is a swipe up that lets the other person knows that you liked him or her before they decide to swipe you left or right, every day as well as the new “Likes You” feature that allows you to know who likes you before you even swipe. The “Likes You” feature acts as your personal secretary in terms of letting you know who swept you right and liked your profile and brings you all of your pending matches giving you the chance to sit back and enjoy browsing profiles as you please. The previous paid option of Tinder, Tinder Plus, did already have these exclusive features except for the “Likes You” feature which is the addition to Tinder Gold only for an added $4.99 a month to the Tinder Plus original price. 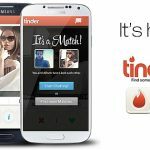 Tinder Gold came to the United States after a few months of being tested in limited markets including many countries such as the United Kingdom, Canada, Mexico, and Germany. The paid service is known to have helped users gain likes more than the free version by 60%. As for the new mentioned features, they are expected to include AI, and other functions that are location-based. 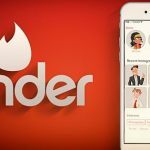 All numbers indicates that Tinder is indeed Match’s biggest earner which motivates the company to keep adding resources to it expecting more earnings and success.